So now we have successfully shared out test project on GitHub. Our GitHub repository is public and available to anyone to download (or clone as Git calls it). 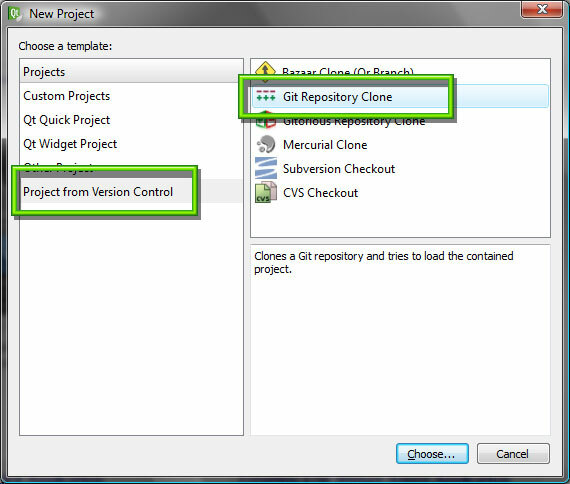 We can also clone the application directly from QtCreator. 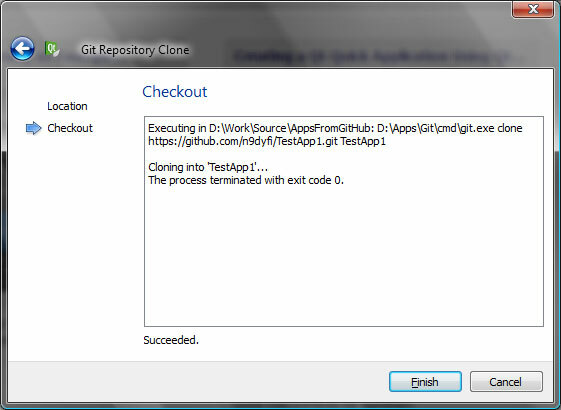 Let’s create a new work folder D:\Work\Source\AppsFromGitHub and let’s clone the TestApp1 there. 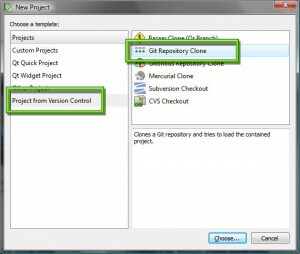 Just select Create Project… and then “Project from Version Control” and “Git Repository Clone”. 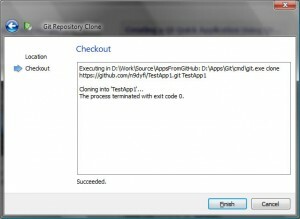 Click Next and the TestApp1 project will be downloaded into D:\Work\Source\AppsFromGitHub. Seems the process succeeded, great! 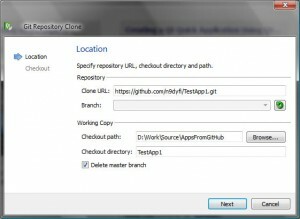 We should now have a one-to-one copy of the GitHub repository on our local work folder. 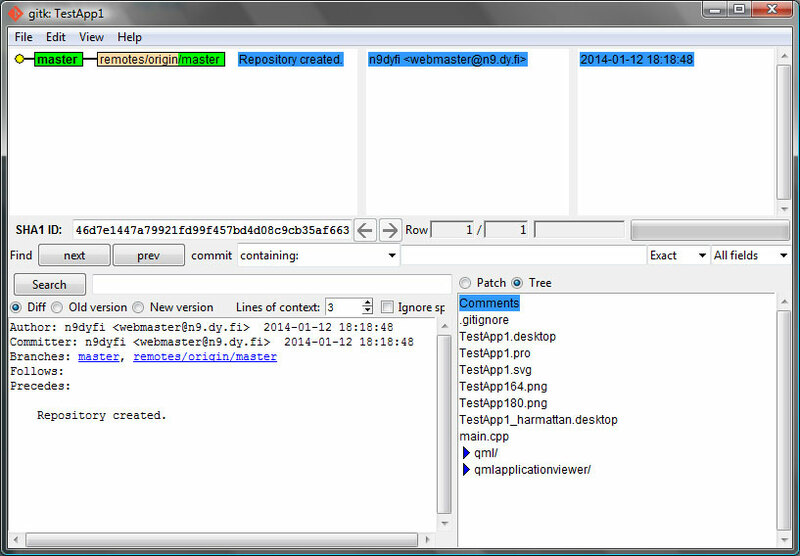 Indeed, running Tools>Git>Lauch gitk shows that the repository is identical to the original one. We can also build and run the application (target: simulator) and it should work just like before.